A Non-Character Restaurant with Character: Biergarten! 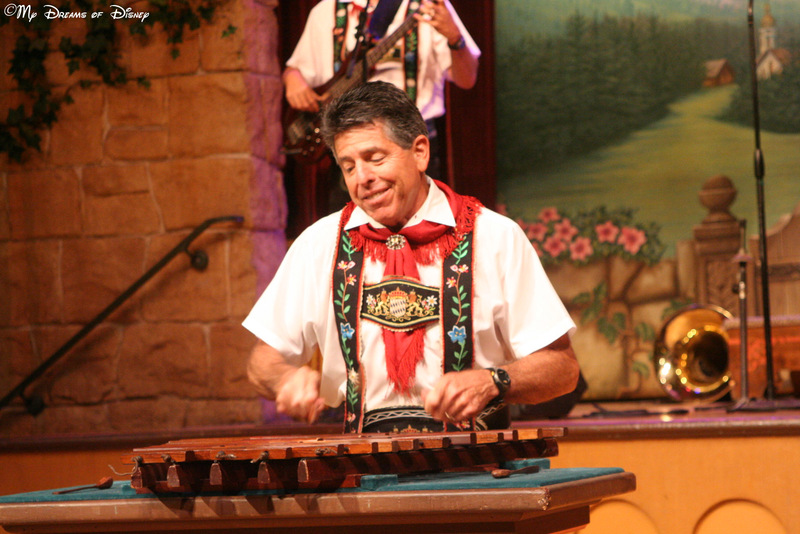 The Germany Pavilion is home to some very unique experiences, but one thing that I have found is a can’t miss experience is taking in a dinner at the Biergarten Restaurant! Take a look as we explore what makes this unique dining venue such a hit with our family! Biergarten Restaurant is one of those restaurants that Cindy and I have seen many times, but never made the time to try it out. I’m at a loss as to why this was; perhaps it was because Sophie is a somewhat picky eater, and we weren’t sure if she would like anything there. Or perhaps it was because we just always thought that there were other restaurants that we would like better. Whatever the reason, we had never eaten at Biergarten before. Truth be told, we weren’t even planning on going this time. We had our reservations made early on, and Biergarten wasn’t on our list. But after we got there, we were talking about the Garden Grill Restaurant, and how good it was. We decided to see if we could get a reservation for it, couldn’t, but we could get one for Biergarten, so we went for it! 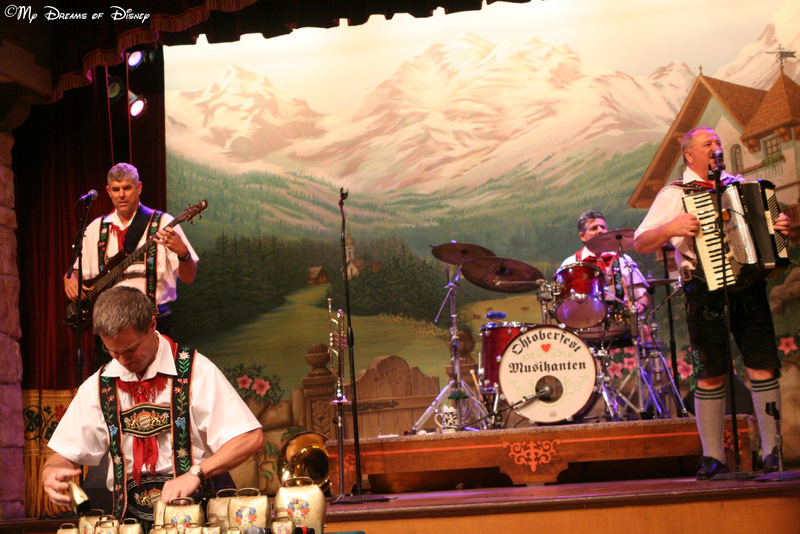 Biergarten is a buffet table service restaurant located in the Germany Pavilion. They are a part of both the Disney Dining Plan for one table service credit, as well as being a participant in the Tables in Wonderland program. Of the four beers, my favorite was the Hovels and the Oktoberfest. The Weizen is a wheat beer, and it was okay, but not my absolute favorite, and the Pilsner was a little better than the wheat. In addition to the food and the beer, the dinner show is really a lot of fun. When we got there, they had started about five minutes before, so our waiter asked us if we wanted to stay and see it again. He explained that by staying to see it again, he would be able to give the band Sophie’s name so that they would acknowledge her birthday! Of course we waited, and she was really excited when they called her name to wish her a Happy Birthday! As I said, I had never eaten at the Biergarten before, but you know what, I really enjoyed it, and I will dine there again! It was a great meal, a relaxing show, and a cool atmosphere! If you haven’t eaten there before, I urge you to check it out. 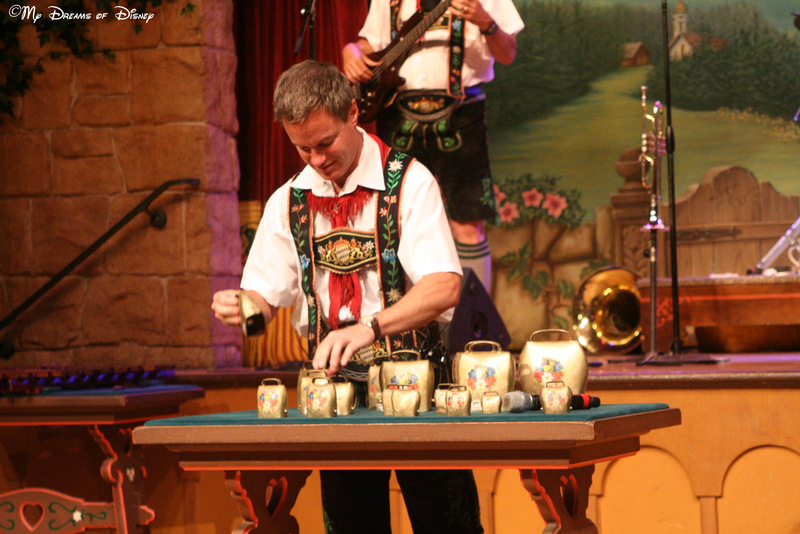 The Disney World page for Biergarten has two menus, one for the buffet, and one for the drinks. Click on the links to view them. What do you think of Biergarten? Must have great food and entertainment, or something to skip? Last, here are some photos from the show! Thanks for reading, and have a great day!